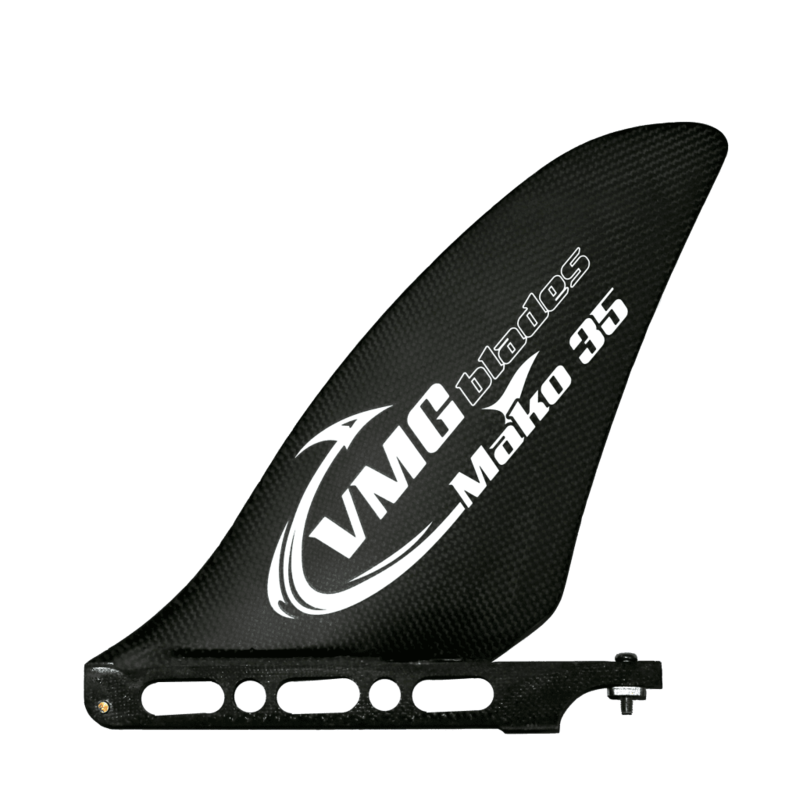 Mako 35 is agile, for the tightest bouy turns, downwinding and BOP racing. We worked with some of the Worlds best paddlers, including Titouan Puyo, Beau O’Brian, Terrene Black and James Casey to develop this fin. The outline has been optimized for maximum agility, and low drag. The light weight, mid length, narrow width, and optimized foil design and thickness ratio allows the board to spin on a dime, accelerate quickly, and get you on more bumps and stay on them longer.